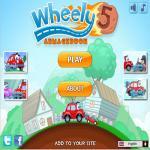 You can play the same game version Wheely 8, Wheely 4, Wheely 2. 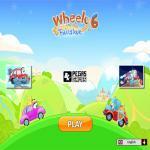 Wheel 7 has returned and promises to bring you a new challenging and fun adventure. Let’s start with level 1. What is the 7th sequel about? You are Wheely who decided to go to the bank and open a bank account. From the beginning, you are guided to walk through the first level, so you have nothing to worry. You will grasp the story immediately. In order to enter the bank, you click on the button near the door. Note that you navigate our red car by clicking on him to make him move or stop him. Easy to remember, isn’t it? Once entered the bank, go up-stair with the help of the elevator. You use up and arrow buttons on the second floor to control it. Finally, you approach the red flag to move to the level 2, same as other levels. By the way, one important submission in every level that you want to finish is to collect the hidden tire and mini car to get three stars. Good luck at this friv Games! 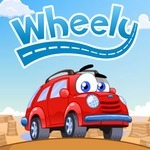 Level 2 of Wheely 7 at friv free games welcomes you with the new interesting and surprising things. Everything still seems to be easy here. You won’t face many obstacles here. You click on the door to open it and then, go to the second floor. Your mission in this level is to meet a banker and open a bank account for savings. That’s it! But you can’t leave without two must-have items that we mentioned from the beginning. Let’s find them. 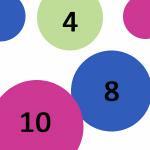 These items are hidden somewhere that challenge your patience and eyes. Let' me help you. The mini car is in the cabinet on the first floor. The nearly invisible tire is on the tree near the purple fan on the second floor. So hard to find them but interesting, right? Wheely leaves the bank with a big smile on the face, but suddenly, the bank is robbed and all the money is gone. How can it happen? Our red car accidentally becomes a new detective who follows the hints and discovers the secret behind the thieves to find the money back. Now, the real adventure begins! 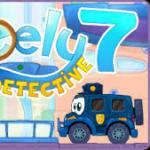 Gathering all evidence and with the determination to find the money stolen, Wheely began investigating the clues. Do you see a book with a red cover on the bookcase? Have a click on it to begin to synthesize the clues and find the direction of the investigation. With the paper that you got in the front of the bank after it’s robbed, you will see the number 34 on it. Then, choose one from 3 pictures of the suspected robbers and use the magnifying glass to find out the first robber related to the number. Finally, you locate the robber on the map and start the investigation process. Yep! It’s time to find two special items. A useful hint for you is that you click on the third lamp on the right side of the screen to open the brown cabinet and collect the mini car. The hidden tire is right next to the vase. Now, have you ready to move to the level 4 of this attractive friv games yet? After finishing level 3, you've got some clues to tracing the first member of the bank robbery team. At the level 4 at Friv 4, the first place you start investigating is a construction site where a huge bridge is built. How to move to that side? You click on the platforms and move as quickly as possible because these platforms work precariously in the really short time. Then you go to the up-stair by using the spring. On the second floor, you still activate various platforms to have a temporary bridge. Do not forget to ask the crane-truck some help to move easier. Do you still remember the submission? 100% yes for sure. Let me help you. The hidden tire is located at the mid-screen in the right side and the mini car is in the dream bubble of the yellow crane-truck. Once you finished, let’s see what is waiting for you at the fifth level? The first robber hides in a hotel that is protected by some guards. You must enter it secretly. Firstly, you need to make the power line complete by having some clicks on the big red button in the center of the screen, then launch the power to run the elevator. Secondly, you distract the guards by turning off the lamp on the right side so that he will unlock the door to check, then you keep turning off the lamp on the left side to make him move. Finally, you quickly move to the red flag without being noticed. When you are in the elevator you will see the mini car, let’s collect it and the hidden tire is in the word hotel. Can you see it? Interesting, isn’t it? The fifth level of this amazing friv free Games is done. Now, you can move to the level 6 with all three stars at the previous level. Finally, you found the first robber. He is sleeping inside the room. You must block the front door to prevent him from escaping. Let’s follow the instruction. First, you place two powers in the right position to turn on the light in the basement. After that, you place the huge battery in the basement in the power source and click on the red button to active the door. That’s it! Now, it’s time to capture the robber. 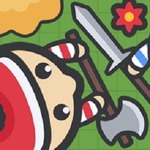 Of course, you definitely want to get 3 stars in every level of this friv games, don’t you? Then, you put the wood in the fireplace to get a small car and you will find the hidden tire on the rooftop. After capturing the first robber, you got a new important clue. By analyzing this clue, surely the next thief will be put in jail soon. You keep continuing your adventure of finding the mystery behind the thieves with many surprising things. Level 7 brings you to the familiar analysis room. At here, you start analyzing the new clue to find out the next robber. In the picture that you have got, you have a street name, a gas station, and a train. What you have to do next is to open the map and scan these three hints to locate this place on the map. Surprisingly, the mini car is on the map. Do not hesitate to collect it. By the way, the tire item is in the cabinet on the first floor. After the scan process is completed, you get the location. Let’s start the new adventure with the level 8. Have fun at Friv 4! 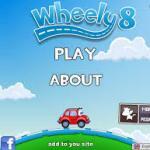 Welcome to level 8 of Wheely 7. You have traveled half the journey seeking the truth. In the very beginning, you stuck in a harbor where various vehicles are waiting for the goods. In order to keep moving, you have to place goods on these vehicles. One thing to notice is that every box of goods must fit the size of the storage of the vehicles. You know whether the goods are in the right position or not by paying attention to the color around the good. Red color means it’s wrong. Green color means you are on the right way. You arrange the goods by using the arrow buttons on the screen. Besides, you drag the anchor of the boat in the center to collect the small car and the hidden tire is in the upper right corner of the screen. Good luck at the next level of this game friv 4! Here at the level 9 of Friv 4 game, you have access to the hiding place of the second thief. But, how can you enter this place without being caught by the guards? There is the only way available which is to cover their vision with the door. Do you see a magnet machine? You lower the magnet machine and get on the boat. When the boat is right under the magnet machine, you use the rotate button to lift yourself up. At the same time, you drag the red box to lower the door in order to stop the guard, so that you can move safely. Now, it’s time to collect two special items. You use the hammer on the second floor to break the wooden wall on the left side of the house to collect the mini car and the hidden tire is about the guard. You definitely see them in the shortest of time with my useful tip. Now, are you ready to deal with the second robber at the level 10? This warehouse is where the second robber hid the stolen money. The stolen money is placed inside the protective circle which anyone touches it, alarm bell ring immediately. So you have to make a trap to capture this second robber. But firstly, let’s use a magnifying glass to focus the sunlight to burn the paper box and collect the small car, then you get the hidden tire near the pipe under the ground. Now, paying attention to the main mission is to take all the money and capture the robber. You make the trap by moving the pullet with a hook next to the blue platform. When the alarm bell rings, you use it to raise the robber up to stop him. In addition, you put all the money on the blue platform to lift him much higher so that he can’t escape. Finally, you collect the new clue which is a smartphone. Congratulation, you are a successful detective with two robbers are caught. Now, let’s move on the level 11 of the friv games. At the level 11 of Wheel 7 at Friv 4, you turn back to the analysis room and find out the secret of the smartphone. Let’s have a tap on the game icon on the main screen of the phone and win a reward as a mini car. The hidden item is under ground, right under Wheely. Now, you access the call list and make a call to locate the final robber on the map, then tap on the image library to find the clues among those pictures. Finally, you scan the picture to find the direction on the map to the final robber. That’s all you have to do. 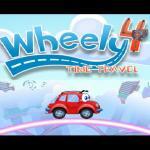 You have gone through two parts of the journey in the Wheely 7 at friv free online Games. Everything is about to be revealed. Are you satisfied with your results? Let’s complete all remaining tasks. Level 12 is where you face many obstacles the most because you access the robber boss's lair which is protected by various dangerous things. At the beginning, you are stopped by a guard. You must click on the rotate platform to make him stuck in the big hole. Then collect the hidden tire on the base where you are standing and pull the drop down rope next to the second rotate the platform to collect the mini car. Next, you have to be quick and careful, check the accurate time to pass the fire trap and the laser trap without getting hurt. After walking through these deadly traps, you quickly reach the red flag to move to the next level. Now, you can breathe a sigh of relief because everything is going well. Nothing can stop you on the way of finding the truth. 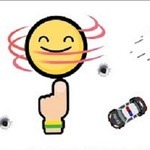 I bet that you have a great time with this friv Games for free for sure. Level 13 is much harder. You can’t move due to the water. You must find a way to stop the water. There are some rooms here with various buttons. You should pay attention to the power room first. You connect the plug to the power in order to make the water change its flowing direction. Then, you turn the red button in the power room to activate the first switch on the left side to lift you up to the second floor. In the room below where you are standing, you collect the hidden car at here. In the top, there is a laser machine. You make use of it to break the barrier on the third floor and destroy the roof to collect the mini car. You know what I mean, right? Now, let’s turn back to the power room, one again, you turn the red button in order to connect the power line to the last room. This will trigger the last switch which is used to lift you to the third floor. It sounds quite complicated but much easier than you thought. Therefore, do not be discouraged. 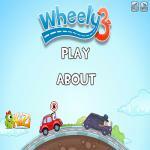 The 13th level of Wheely 7 at Friv 4 is done. What you are looking for is in the level 14 – confront the big robber boss. Take the action now. Entering into the sumptuous villa of the big boss, you place the diamond in the room that big boss saves money to the red holder above the red flag. Then, you turn the direction of the laser beam in the basement go through it to make the chandelier fall into the boss. This will stop him hurting you and give you some time to seek for the stolen money. You do not forget the submission across the game, don’t you? Yes, even if you have caught the robbers, you still need to find two special items to conquer Wheely 7 at friv with all three stars on every level. The hidden tire is located on the roof near the cabinet and the mini car is hidden in the pile of money. Finally, all three robbers are captured. Now, it’s time for you to find your golden coin. Congratulation, you complete all the missions and find out the truth. All the stolen money is found and three robbers are caught. Welcome to the final level – level 15! Here at the friv free online Games, the only thing you have to do is to get your golden coin in the safe deposit box which is secured with a code. You open it by matching every piece of the door in order to create a symbol of the key. But what you did not expect that was an activated bomb in this safe deposit box. So annoying! You dismantle this bomb by using a scissor to cut the green and blue strings. At the same time, you also use that scissor to open the smaller safe deposit box in the right of the screen to collect the mini car and where is the hidden tire? I will tell you. It is on the upper left corner of the screen. Your journey comes to the end now. Conquer more games at online Games friv. Have fun! In this exciting puzzle game at Friv 4 game online, your biggest mission is to deal with some difficult puzzles and help Wheely overcome all dangerous challenges on the way. With eye-catching graphics and great music, I bet that you will be addicted to it for sure. What are you waiting for? Check it out at friv 2017 for school!